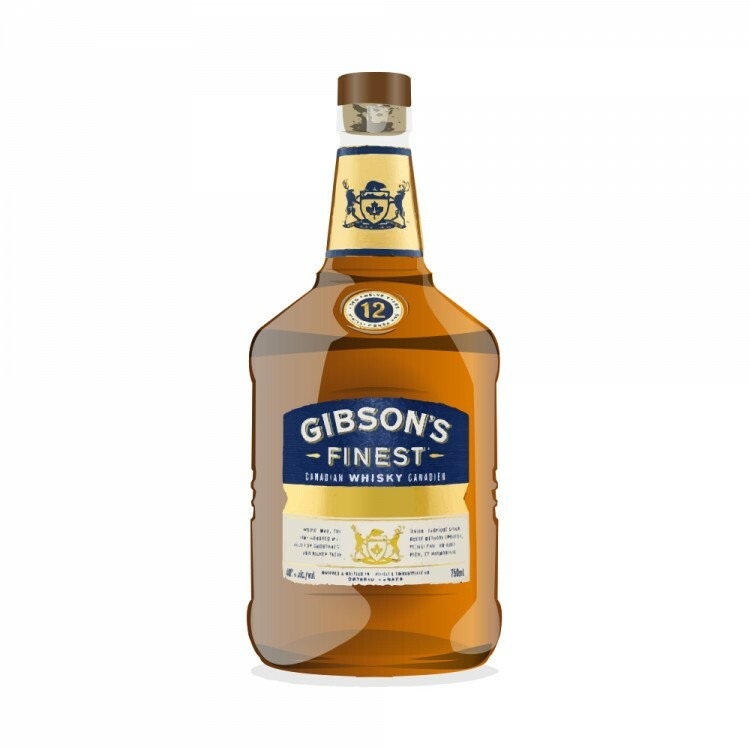 This is a new expression of Gibson's, a Canadian whisky brand owned by William Grant & Sons (Glenfiddich Master Blender Brian Kinsman also blends Gibson's apparently). This release has been timed with a general redesign of the bottle and label. I've always hated the 12 Year Old (scored it a 40) but love the 18 Year Old (which I haven't had the chance to review here). The colour is a coppery red, darker than other Gibson's expressions (and darker than you would expect from an eight-year-old; obvious caramel colouring). On the nose there is some real rye spice, with vanilla, light caramel, cocoa and toasted oak. Nothing different from any decent Canadian whisky, but nothing terrible either. Unassuming, but improves with water, becoming spicier and more rye-forward. On the palate there is heavier caramel with the vanilla and rye spice. Tastes younger than eight years old, it's a little too spirity. Black liquorice. Herbal. The longer you hold it in your mouth, the spicier it gets, especially with water. Quite nice, actually. The long finish has definite wood with citrus pith. I would put this closer to the 18 Year Old than the 12. While this has no obvious faults, it is nothing spectacular either. Funny that it tastes richer and fuller - and bolder! - than the 12 Year Old, which is older. Also worth noting that the label says it "delivers Canada's boldest rye & cola," which apparently it was designed to be mixed with. I tried it with Coke and with ginger ale, and it's fine mixed with both, so perhaps a good bottle to pull out for a summer barbecue. This one is on sale at my local LCBO. I was thinking of getting one for Old Fashioned cocktails on the cheap. 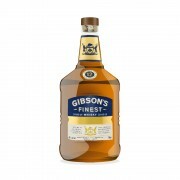 Gibson's brand is a good Prohibition story. They were Pennsylvania rye-makers who fled to Canada in order to continue in the whisky business after Prohibition was passed. @talexander I feel like using Wild Turkey with the Gibson’s would obviate the need for any fruit. I despise “muddled fruit” Old Fashioneds. It feels wrong. And OF cocktails work best with higher Proof spirits in my opinion. @OdysseusUnbound Yes, I think that would work. I'd love to do one with a great high-proof bourbon and a great high-proof rye. Maybe one day I'll make one out of George T. Stagg and Thomas H. Handy. @Robert99 _ @talexander _ I would love to try a vatting of George T. Stagg and Thomas H. Handy. @paddockjudge I get a vatting, I don't get an Old Fashioned. Doing the vatting now: 2012 Stagg 71.4% and 2016 Handy 63.1%. No mixers. Very interesting. As intense as expected. The palate is particularly striking, because to the incredible spiciness of the Handy is added the incredible depth of wood flavours from the Stagg. I have never tasted these two particularly intense sets of flavours blended together before. This is a fun experience, but most of the time I would prefer to drink each one of these separately. @talexander I mean no offense. I am not a purist, but I am the kind of guy who doesn't take wasabi with sushi because it covers the most subtil flavors. My point is why using prime whiskey when you will not taste it and when a good one would give you satisfaction for a fraction of the price? @Robert99 Because it only costs one dram out of a bottle, so what's the big deal? It's like cooking - the dish is much better when you use the best ingredients. Every time I open a premium bottle I always make one cocktail out of it to see how it tastes. Some high-end whiskies make better cocktails than others - and some can be sublime. I once made the world's greatest Rusty Nail with Black Bull 40yo and Dunkeld Athol Brose liqueur and it was unbelievable. And I've made Manhattans out of George T. Stagg, Thomas H. Handy, etc. (I'll probably try one with CC40). Auction houses have seen a huge increase in sales of old gins and liqueurs as more and more people are interested in making "premium" cocktails (and following very old recipes and using very old bottles) and seeing how they stand up. And if that doesn't befuddle you, check out the Whisky Blasphemy Facebook page and read about people making cocktails out of Pappy 23 and Macallan 25. @Robert99 And yes, this really bothers people. At a tasting once, I was talking about making cocktails like this, and one person literally stood up and started yelling and wagging his finger at me (he was also angry that I invest in rare bottles). @talexander I could relate to doing it for experiment purpose. I would be sad if you were passing a full bottle in cocktails but would never be angry about it. At the end of the day, it's your bottle and your money and you do what ever please you with both. I am sure there are people who don't taste the differences between good and fantastic whisky who are drinking the fantastic stuff because they can buy it. But because the are drinking it neat we are ok with it and when they are saying foolish things we put that on their inexperience and with envy we find them lucky. I am sure that a fan like you will appreciate a gem even in a cocktail and I am sure you will pick a cocktail that will preserve the whisky flavors over a cocktail that will flood the whisky with strong flavors like pineapple juice. @talexander yes, your money, your bottle your choice. @talexander You can’t beat a good rye and ginger. Reminds me of my college days. CC & G. Good times. I drank most of my last bottle of Auchentoshan 12 in Rob Roys (and the occasional hot toddy) simply because I found it very boring to drink neat. @OdysseusUnbound - I feel like I'm 'butting in' a bit here but I used to love a whisky and ginger, especially in the summer. Never tried it with rye or bourbon though and only with cheaper blends really. I think it's lovely but did used to get some funny looks of my mates . . . Lot 50 is on my wish list so will perhaps give it a go with that when I get it. @RianC I look forward to your impressions of the Lot 50. I hear it has about 25% more flavour than what we can get here. @RianC, when you say "cheaper blends" to a Canadian, (s)he does not automatically assume that you are talking about Scotch. Most of them "grew up" on Canadian blended whisky, you know. ...but, on the other hand, in Canada, when you say "rye" (as you did, above) you can legally be talking about any whisky made in Canada, including those that contain no rye whatsoever. It's a Canadian cultural thing. @Victor Absolutely. It's as Canadian as apologizing. @Nozinan, you are making me laugh again...and, yes, I also hear that Lot 80 is twice as flavourful as "what you can get there". @RianC, in order to fully understand the murky depths (and shallows) of Canadian whisky you really need to go to Canada. 6 years ago I made that choice to start going on dedicated Canadian whisky expeditions primarily for the purpose of digging up all of that obscure stuff I read about in Jim Murray's Whisky Bibles. It's up there. I found a lot of it, and @paddockjudge knows where to find the rest of it. @Victor - Ah good point! I mean your basic Grants, Teacher's etc as you summised. To most Brits whisky is blended Scotch/Irish! I have been to Canada on a few occasions, but over a decade ago and I wasn't into whisky so much back then. Had my relationship with a Canadian lass not faltered, there were penciled plans to move there on a more permanent basis . . . Don't want to get overly melancholic but it was a beautiful place and I was made to feel extremely welcome when there. If's and buts eh?! @Nozinan - ha ha! I'm English and we're the Kings of apologising I should add that I'm sorry if that offends you in any way . . .
@Nozinan - It must be an in joke I'm not getting re. the Lot 50! Every day's a school day . . . what's the gag? @RianC Simply, you wrote "Lot 50 is on my wish list so ..."
Because I assumed you were referring to lot 40, I thought I would run with it. I like low hanging fruit...it's a height thing. @talexander I supposed you take the Jacobite Collection Drambuie for your Rusty Nails. Don't you? @Robert99 I just looked it up (I thought maybe it was some marketing gimmick) but wow it actually might be tasty. I looked it up on The Whisky Exchange and one user wrote: "My most enjoyed liquer. I am close to 90 years old and for many decades have celebrated another year of living with a "rusty nail" before bedtime." So there you go! @talexander I read it's a Drambuie made out of 45 yo Scotch. I used to have Drambuie before I was in whisky and really liked it, I may be moved to tears with one that old. @talexander This other comment on The Whisky Exchange is not as promising: "Drambuie! Absolutely amazing! I love it, and I don't even like sweat drinks. " It is at least ambiguous. @Robert99 I think I'd have to drink a lot of Drambuie before it starts sweating out of me. @Victor _ @RianC _ ten years from now it will be nice to pull a few unicorns out of the bunker. By then the herd should be much larger than it is today. @talexander _Imagine this, a CANADA D-EH Rye & Ginger-a-thon.... starting with Five Star and moving through the multiples of "5"...Masterson's 10 YO, WhistlePig 10YO, Wiser's15 YO, Century Lot No 15/25, CC 20 YO, Highwood 20 YO, Alberta Premium 25 YO, Alberta Premium 30 YO, Wiser's 35 YO, CC 40 YO. ...if only we could find a bottle of Five Star. .... And countless live(r)s saved. I would offer up my bottle of Metaxa, but sadly I just checked and it's 7 star, not 5. @Robert99 I don't like sweat drinks either. Too salty. @Nozinan _ I shall not lose a kingdom for want of ginger ale. The bunker shall stay intact.